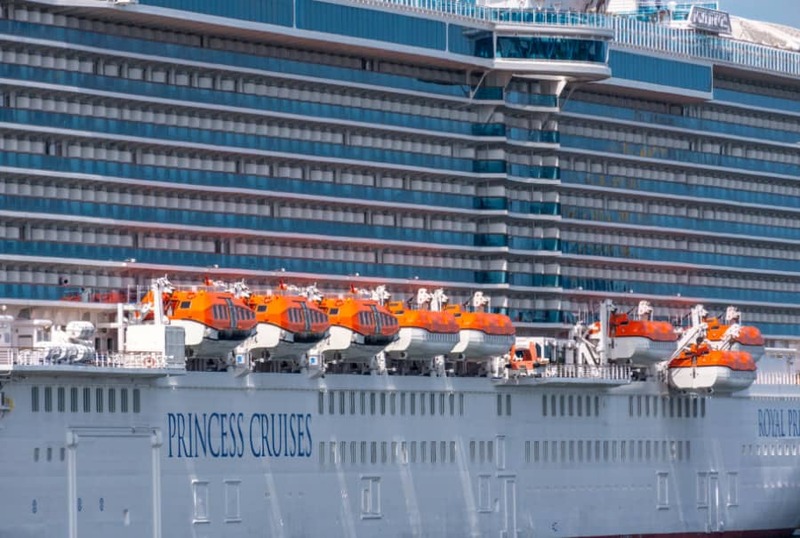 A tragic event has occurred on Royal Princess which is operated by Princess Cruises. A cruise ship passenger has fallen from one of the upper decks and hit a lifeboat below. According to a passenger who is on the current voyage who contacted the Cruise Law News site, an unnamed cruise guest died after falling or from being pushed from one of the upper decks. The tragedy occurred last night on the Royal Princess cruise ship which is one of the largest operated by Carnival-owned Princess Cruises. The female passenger may have fallen or pushed from one of the open areas on the lido deck. She fell onto the top of lifeboat number two at around 4:00 AM and a public announcement was made not long after which was even heard in all guest cabins. Royal Princess called at Aruba before 8:00 AM on October 13 which is a scheduled port of call. Passengers onboard were informed that there was a serious incident and that local authorities were coming onboard to deal with the aftermath. Aruba is an island located in the southern Caribbean just off the coast of Venezuela. This is an extremely sad tragedy and our thoughts go out to friends and family of the woman. This is a developing news story and will be updating once more facts are known. We have also contacted Princess Cruises so will updates once we hear back. The Princess cruise ship is currently sailing an 8-night Southern Caribbean itinerary which departed Fort Lauderdale, Florida on November 9. The ship is scheduled to depart Aruba today at 10:00 PM and then sail to Kralendijk, Bonaire with an arrival tomorrow. The large vessel will arrive back in Florida on November 17. Royal Princess is 141,000 gross tons and is the first in her class. She has a guest capacity of 3,600 at double occupancy.